In 1984, Band Aid released the immortal Christmas song "Do They Know It's Christmas?" in response to the 1983 - 1985 famine in Ethiopia. The song included the lyric "...there won't be snow in Africa this Christmas time", and indeed, the thought of snowflakes falling on Africa's arid deserts and drought-stricken savannahs seems unlikely. However, Bob Geldof and friends weren't entirely accurate in their depiction of a snow-deprived Africa, because although snow is a foreign concept to much of the continent, it occurs (either regularly or as a rare phenomenon) in several of Africa's 54 countries. In January 2018, snow was reported in the Algerian town of Aïn Séfra in the Sahara Desert. Reports of how much of the white stuff fell varied from one to 15 inches; but nevertheless, the sight of the surrounding dunes blanketed in snow was one to remember. It was only the fifth snowfall in 40 years for Aïn Séfra, which at other times of year is one of the hottest places on Earth. Several mountain ranges in North Africa see snowfall on a more regular basis. The Tibesti Mountains span northern Chad and southern Libya and see snow on average every seven years. Algeria's Ahaggar Mountains also see snow on occasion, and in 2005 record lows saw heavy snowfall in the highland areas of both Algeria and Tunisia. In 2013, people living in Cairo were astonished to find themselves in the midst of a winter wonderland, when freak weather conditions brought snow to the Egyptian capital for the first time in over 100 years. High temperatures and limited precipitation make snow in Cairo a once-in-a-lifetime event, but residents were even able to craft snow-Sphinxes and pyramids. Further south, higher humidity means that snow is found more frequently despite being closer to the equator. 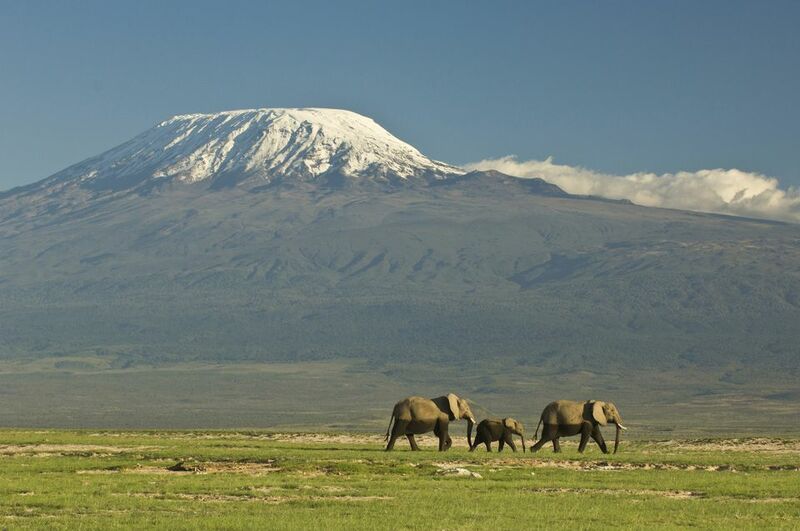 Regular snowfall has created ice-capped peaks (although most are fast disappearing) on Kenya's Mount Kenya, Tanzania's Mount Kilimanjaro; Uganda's Rwenzori Mountains, and Ethiopia's Semien Mountains. These high altitude snowfields aren't prolific enough for skiing, however. For that, you have to head to Africa's northernmost or southernmost nations. Unbelievably, it is possible to don skis and hit the slopes in Africa. Perhaps the most reliable resort is Oukaïmeden in Morocco, where chairlifts offer access to the 10,689-feet/ 3,258-meter peak of Jebel Attar in the High Atlas Mountains. The resort boasts six plunging downhill runs, as well as beginner and intermediary slopes and an area dedicated to sledding. The tiny Kingdom of Lesotho is an exceptionally mountainous country, with the highest low point of any nation on Earth. It's also the coldest country on the continent, with a record low of -4.7°F/ -20.4°C measured in Letseng-le-Draai in 1967. Snow is common, with some peaks retaining a covering of snow year-round. Nevertheless, Afriski Mountain Resort remains the only ski destination in Lesotho. In South Africa, the Eastern Cape highlands are home to Tiffindell Ski Resort. Slopes are open for skiers and snowboarders throughout the southern hemisphere winter (June, July and August), and when natural snows fail, there are snow-makers on hand to ensure the well-groomed pistes stay functional. A Ski Academy provides lessons for beginners, while a snow park offers jumps and rails for the pros. Snow isn't that strange for South Africans, as several locations regularly see snow in winter. Most of these are situated in the inland regions of the Eastern and Northern Cape provinces. In the Amathole Mountains, the tiny town of Hogsback holds an annual Christmas in July celebration, while the Northern Cape town of Sutherland is the coldest in the country and commonly sees enough snow to build snowmen. This article was updated by Jessica Macdonald on July 18th 2018.